E-cigarette study gets big headlines, but what does it mean? A new research letter in the New England Journal of Medicine examined the aerosol produced by a tank system electronic cigarette. The aerosol was collected and analyzed for formaldehyde. Two voltage settings were used: low (3.3V) and high (5.0V). The main findings were that at low voltage, no formaldehyde was detected, but at high voltage, "high" levels of formaldehyde were detected. Last week, the California Senate passed a proposed bill, SB648, by a 21-10 vote, banning the use of electronic cigarettes (e-cigarettes) anywhere that smoking (of regular tobacco cigarettes) is banned. In essence, if the Assembly joins in and the measure becomes law, in our largest state e-cigs would be treated as equivalent to cigarettes for all practical purposes. Another day, another fraud perpetrated by our public health leaders at the CDC. Their latest report, Tobacco Use Among Middle and High School Students United States, 2011 2014, was released to much hype yesterday, the main news hook was the spectacular increase in teen vaping, approximately a three-fold increase over the survey period. They buried the lead, however, forgetting somehow to take note of the fact that teen smoking rates continue to test historic declines. One of the biggest problems with journalism -- particularly science journalism -- is the fact that many people who practice it aren't qualified to do so. Believe it or not, being a good journalist involves more than knowing how to turn on a computer and pound away aimlessly on a keyboard. Unfortunately, that seems to be the only requirement for some journalists. A few years ago, I was told by an editor at The Economist that they do not hire journalism majors. Instead, they hire people who studied "something real" and then are taught how to do journalism after they are hired. It's a good rule, and media outlets everywhere would be better off if they all adopted the practice. ACSH applauds John Tierney s column in today s Science section of The New York Times, in which he argues for the promotion of electronic cigarettes as a harm reduction method to reduce the tremendous toll of smoking in the U.S. 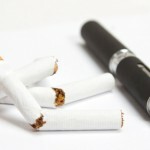 Yesterday, at the Senate Health, Human Services and Senior Citizens committee hearing in Trenton, New Jersey, the focus was on a bill that would impose a wholesale sales tax of 75 percent on e-cigarettes. Although the majority of the people in attendance spoke out against this bill including ACSH s Associate Director of Public Health, Ariel Savransky the bill was passed with a 5-2-2 vote. 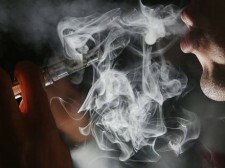 NYC Council to consider a ban on e-cig flavors. Why? Because they can. Dr. Sally Satel, a psychiatrist and addiction specialist, has penned another brilliant essay, this one on Forbes.com. In her piece, Dr. Satel methodically constructs a web of evidence to indict and convict the so-called public health establishment at the CDC, and their lackeys at the California Dept. of Public Health, for what (in our opinion) rises to the level of a conspiracy to keep smokers hooked and kill the nascent e-cig industry. A few months ago, we made mention of a legal assault on the bizarrely, perversely unscientific and harmful European Union s (EU) Tobacco Products Directive (TPD), launched by a British e-cig/vapor company, Totally Wicked by name. At that time, TW had received an acceptance from a UK Administrative court to proceed up the ladder of bureaucracy, the byzantine complexity of which rules the EU process (to explain it further would boggle the mind). While nicotine is the addictive substance in cigarettes, it is the long term exposure to inhaled smoke - and its toxic constituents - that adversely impact the lungs. One such harmful mechanism is inflammation of the airways, which progressively damages and ultimately impairs lung function. Nowadays, there are several ways one can give up the harmful toxicants of cigarette smoke while minimizing nicotine cravings. Nicotine replacement is available in gums, patches, sprays, and electronically vaporized liquids. 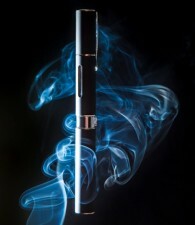 Proponents say that the latter, which they call electronic nicotine delivery systems (ENDS), may be particularly more appealing, and therefore more beneficial in reducing cigarettes, because of their ability to simulate the mechanics of cigarettes.